In our on-going effort to demystify call center metrics, let’s take a look at “occupancy rate”. This is basically a measure of how “busy” call center agents are when they are at work. It is sometimes referred to as “utilization”. You might think a simpler measurement like “call per hour” would answer this same question. But as is often the case with call centers, things get complicated quickly. 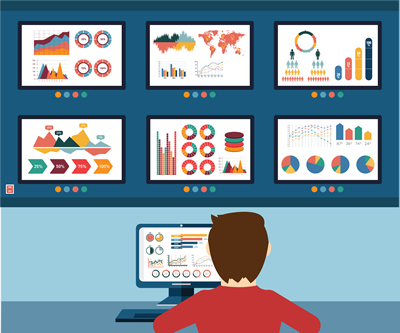 In this post we will look into how occupancy rate is calculated, what value it adds to the vast mix of call center metrics and the problems that can arise if it is used improperly. 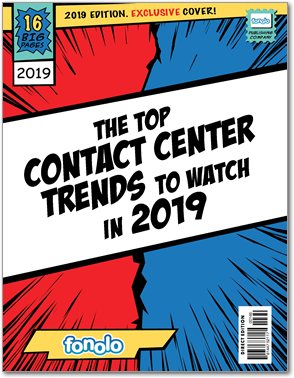 If you like this type of post, you should check out our other posts on call center metrics such as What Are the Top Metrics in Your Call Center?, Finding the Right Service Level for Your Call Center, and Why Your Call Center Needs to Watch Abandon Rates. Consider an agent who is engaged in call-related work for 45 minutes during a 60 minute period. He has an occupancy rate (or just “occupancy”) of 75%. That’s pretty straightforward, right? However, we need to look deeper into the phrase “call-related” which is the numerator of the fraction. We have to include more than just “talk time”, because sometimes agents are on hold during the conversation, waiting on another process. We also need to include work that happens after the call to “wrap-up” the transaction. This is sometimes called “After Call Work” (ACW). Defining the boundaries between ACW and other non-call work can be tricky. It’s important to limit this to work that is directly related to that particular call, and exclude general non-call work. This is the same thinking that goes into calculating “Handle Time”. See the image below. In fact, a common way to calculate occupancy rate is to add up all the handle time during the defined time period. For more on the topic of handle time see this post. One danger here is to make sure that “Available Time” does not overlap with ACW time or on hold time. The danger with this approach is to make sure agents are diligent in setting their status codes properly so that “Aux” covers all the appropriate time. There was recently a spirited discussion on the Linked-In group Call Center Professionals around the issue of occupancy rate. 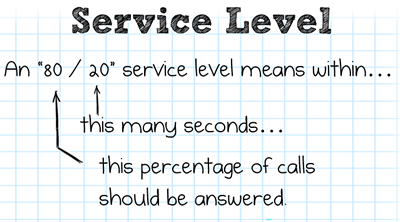 One of the topics was the complicated interactions between that metric and another very popular metric: service level. Given the same number of calls with the same handle time, meeting a higher service level will yield lower occupancy rates, and vice versa. Lowering your target service level means fewer staff is needed, which raises occupancy. Be careful to make sure your center-wide occupancy is aligned to your ASA target. As speed of answer improves, occupancy will fall and vice versa. Setting a speed of answer goal that is incompatible with your occupancy goal will just lead to poor performance in both respects. Agents need time to take a breath and collect their thoughts between calls. Otherwise, performance suffers, followed by higher absenteeism and, eventually, agent attrition. One danger was already covered: looking at occupancy as a guideline for staffing without also considering service level. At the end of the day, your WFM team could have provided forecasts, schedules, intra-day reports, etc … and it all is just noise if the agent isn’t plugged in and taking calls when I need them there. Otherwise, agents can undermine all that work from WFM by failing to be adherent. Finally, there is a danger in confusing occupancy with productivity. One agent may be able to write-up a summary or send an email faster than another. In this case, the “after call work” would be less and yield lower occupancy for the more efficient agent. 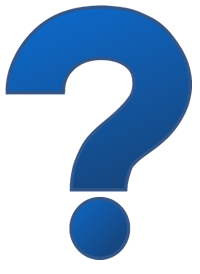 How are you using occupancy in your call center? We’d would love to hear from you in the comments. What other metrics would you like us to tackle in this blog? Really informative post Shai! The exact metrics involved in defining the efficiency of a calling agent are still not very clear for the general public. Your formulas for occupancy rates and the other metrics will really help out those who are still trying to figure how to appraise their agents. Glad you liked it Arsh. In what capacity would you recommend occupancy be used to speak to efficiency? My immediate thoughts are scheduling and staffing levels. Krystal, that sounds right to me.